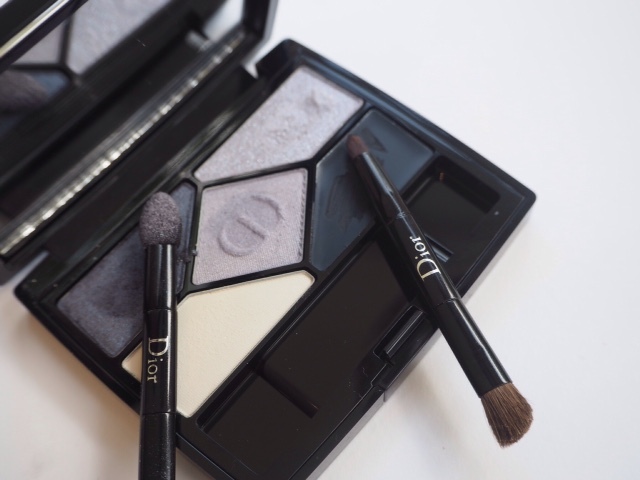 Dior is calling their six new Diorshow 5 Couleurs Designer palettes the make-up artist tutorial palettes. I have Navy Design here, which is a beautiful greyed blue nuance – somewhere between blue and grey I’d say. Inside each palette is a mini tutorial in the leaflet that gives you an idea of where to start, but the general advice is to play around with the textures and shades til you find how you like to wear it. 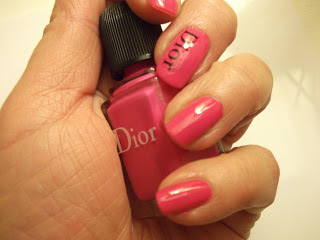 The design has changed (if you’re a Dior fan you’ll notice it’s been flattened out) and also the formulations have undergone a re-jig. The new Diorshow 5 Couleurs Designer colour formulas claim a lasting hold ‘colour lock’ technology and pearlescent pigments. I’ve got to be brutally honest and say that I found the powder shadows kicked up a lot of ‘dust’ – they’re so soft (and so blendable) that they’re not all that inclined to stay where you want them to within the pan. A sponge applicator (included) is probably the worst thing you can use – you get a much smoother finish (and less kick up) if you use a proper brush. 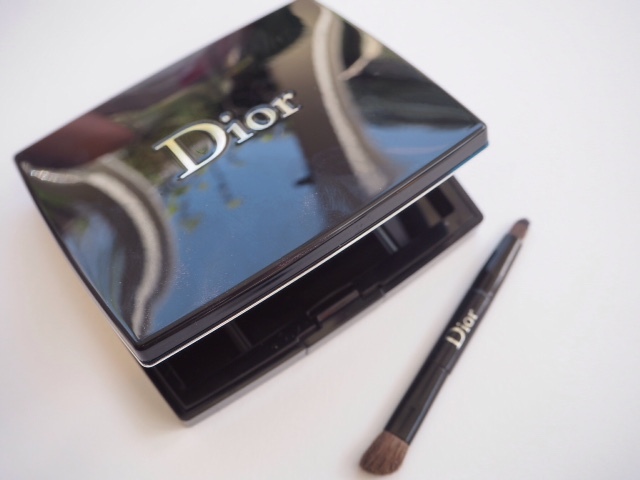 The little liner brush is good though – I think if Dior is to stick to this new, softer formula, then they’ll have to ditch the sponges – the two just do not belong together. 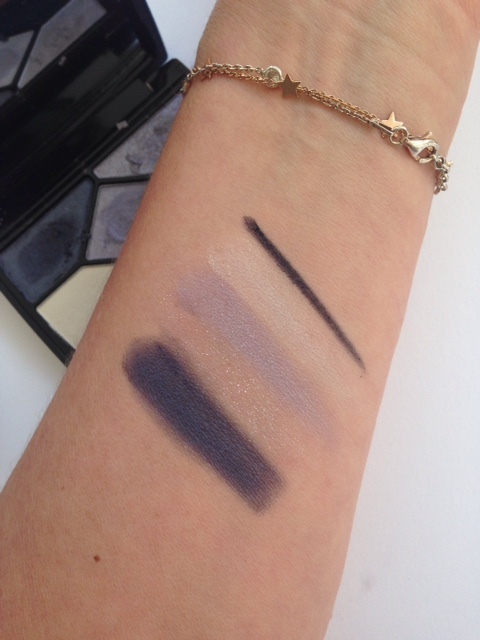 So, you can see the shades blend out to a nice, smoky finish – I’d wear the midnight shade in heartbeat – and the silver colour is a myriad of iridescence so you can add in sparkle if you wish. I’d recommend if you love to smoke up your eyes, but I don’t think there’s anything above and beyond the usual Dior palettes here. 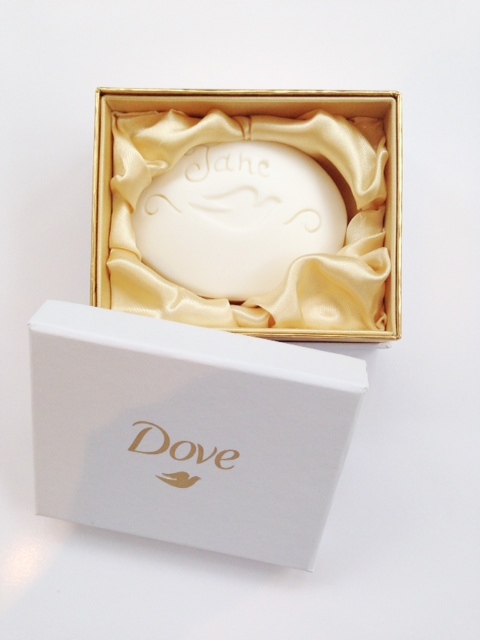 They hit stores in June for £43 each but they’re already on counter in Selfridges. I have the old Navy design palette and I must say that a couple of the colours are less than perfect. Hopefully this new one is better, but from your description, I am not sure. Love the colour Navy but so few brands get it right.